Are you looking for a wedding location that allows you to combine tradition and your dream wedding style? If so check out the seriously impressive Hotel María Cristina. 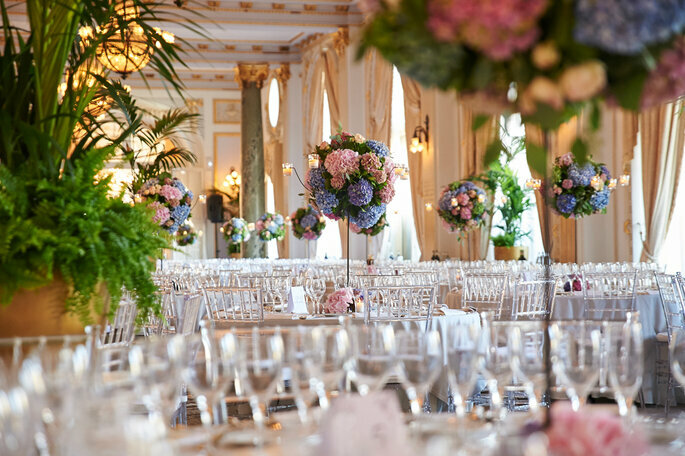 Surrounded by beauty and decadent decor, you’ll have the perfect backdrop for your big day. Since Hotel María Cristina was built over 100 years ago, it has since been a faithful witness to history. 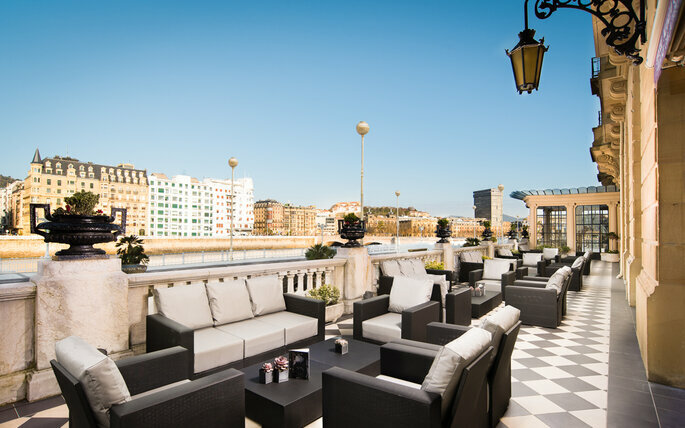 The grand European style reflects the traditions of San Sebastián and the Basque Country, creating a dream setting for the start to your life as newlyweds. 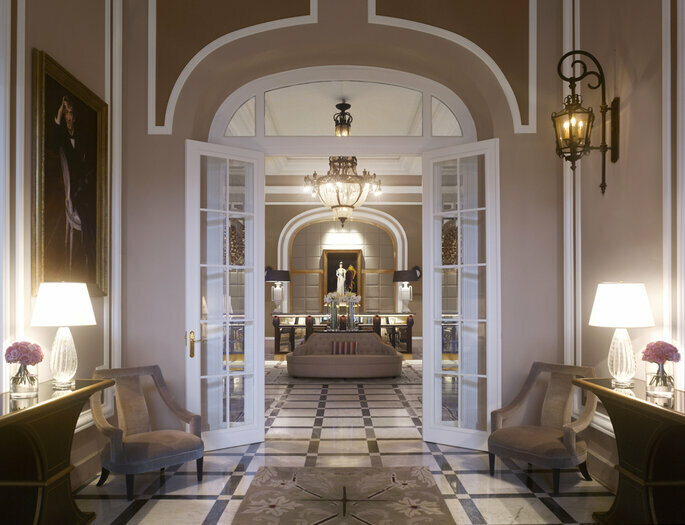 Some of the 20th century’s most influential figures have enjoyed a stay at this beautiful hotel – from Queen Maria Cristina and King Alfonso XIII to film stars such as Coco Chanel and the Emperor of Japan. 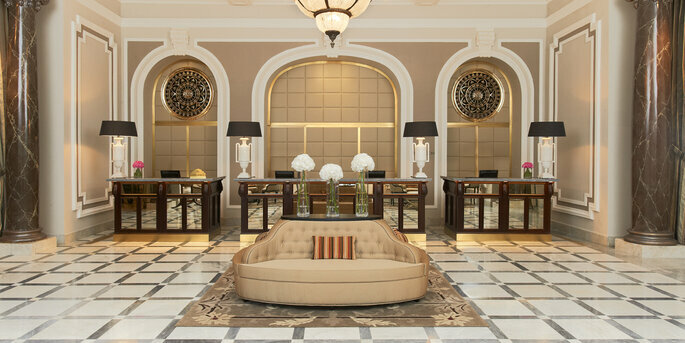 Whilst Hotel María Cristina remains true to its heritage, it also encompasses a new, 21st century feel. 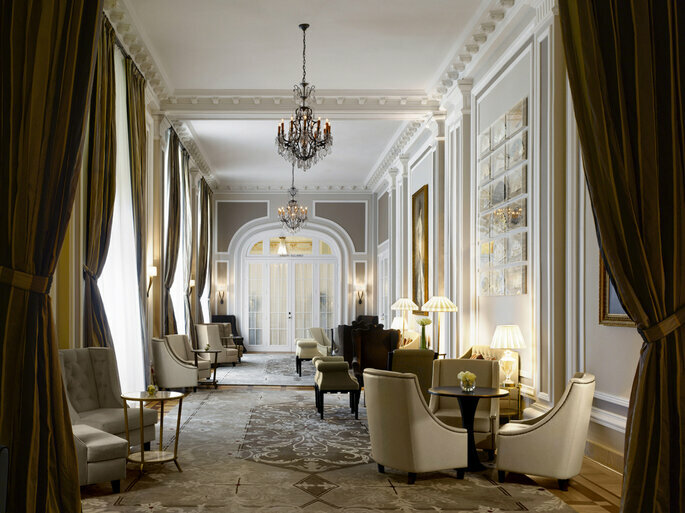 With bright corridors and antique decor, couples can enjoy culture from both sides of the millennium. It offers couples all the luxurious amenities they could ask for; With stylish event rooms, couples can celebrate a big event for up to 300 guests or a smaller, more intimate affair. “The hotel rooms are equipped with the latest technology and can be used for any celebration”. This unique venue is prepared to provide every magical detail to make a wedding day complete. At Zankyou we love the Ibaia Elcano Zubia lounge as it offers a picture perfect setting for a banquet. It follows the sumptuous style of the Belle Epoque, with double height ceiling resting on a series of majestic columns topped with gilded Corinthian capitals. 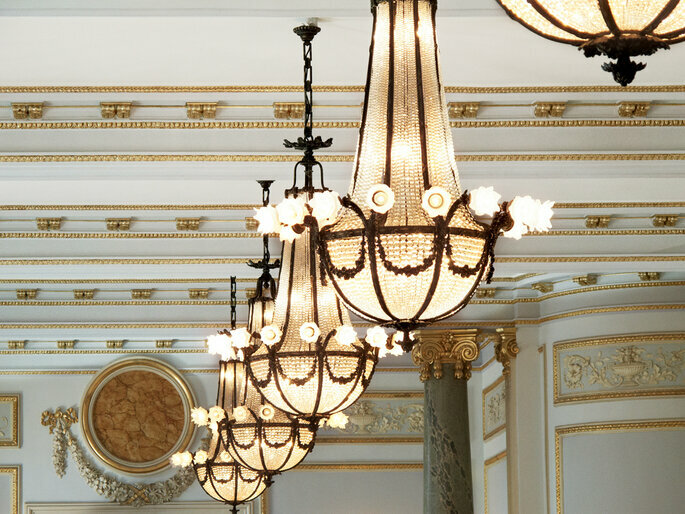 Female sculptures and garlands of flowers in delicate plaster adorn the walls framing century-old chandeliers of bronze and crystal, while five French doors wrapped in damask offer access to the terrace. 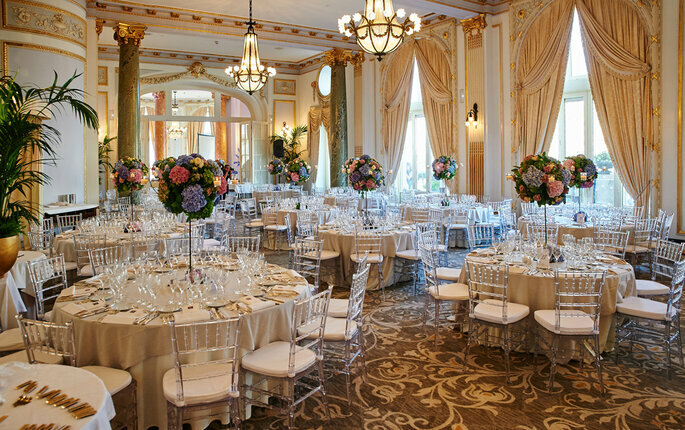 Alternatively, for more intimate weddings there are two other rooms with a sophisticated atmosphere. 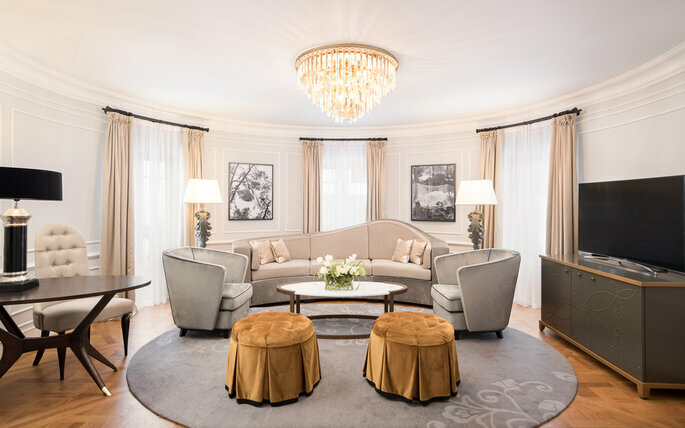 The combination of pastel decor, spectacular ancient columns and crystal chandeliers create a seductive sense of timeless glamour, and both areas have large French doors that allow natural light to flood through into the rooms. Specialists at the Hotel María Cristina help their with every steps of the way, leading up the wedding and beyond. Following their motto of “every love story is beautiful, but yours is our favourite”, the staff offer their couples only the best. In fact, couples can enjoy a welcome cocktail courtesy of the hotel and a delicious tasting to help you create the perfect wedding menu. 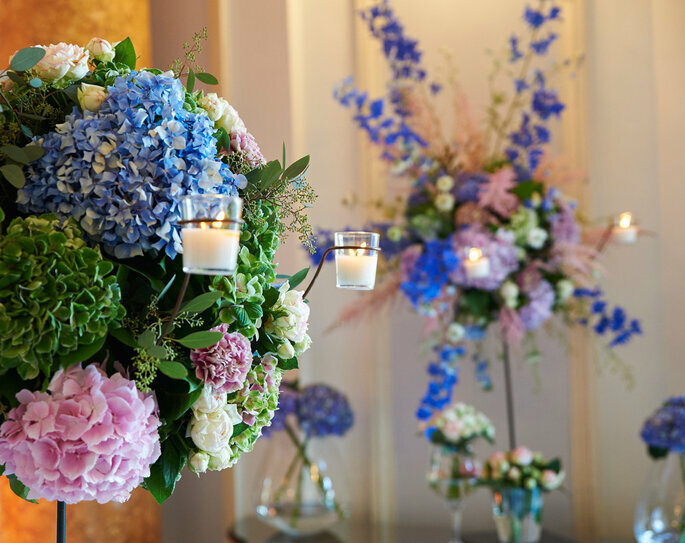 And thats not all; upon arrival couples are greeted with original floral arrangements and depending on the season, couples can benefit from some limited-time offers. They have a a truly enthusiastic team that organise the special event in the heart of the city of San Sebastián, so if other services, such as photography, videography or entertainment are required, then they will point you in the right direction. 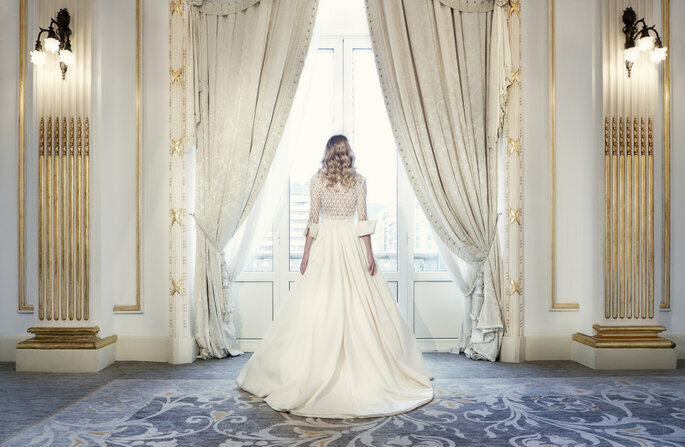 Hotel Maria Cristina also accommodate guests before and after the big day. 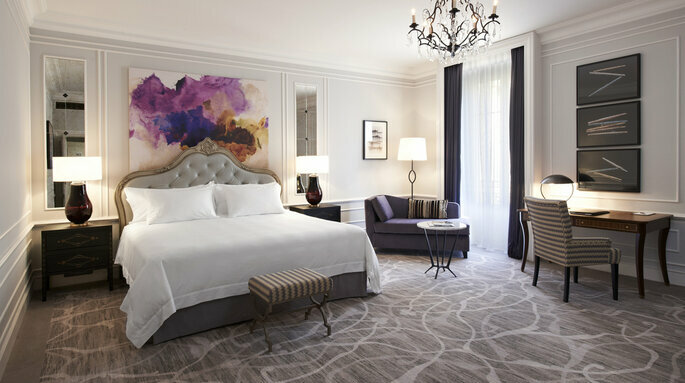 “Experience the hospitality on a large scale in the 136 rooms and suites, furnished in a sophisticated colour palette to help you have a relaxing stay”. 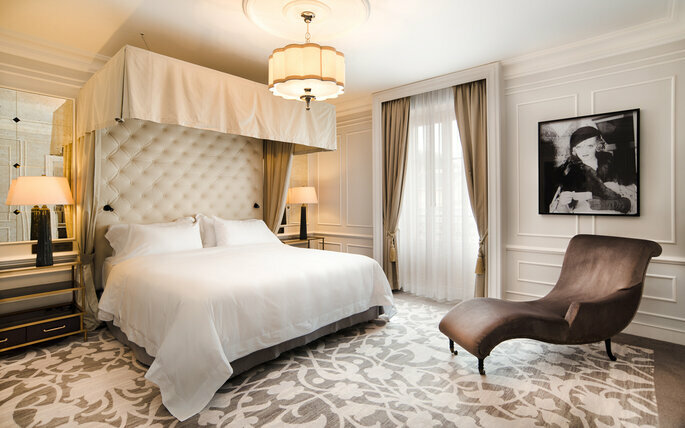 Style, grace, modern technology and a dazzling decor, combined with an array of services ensure a relaxing and memorable stay. 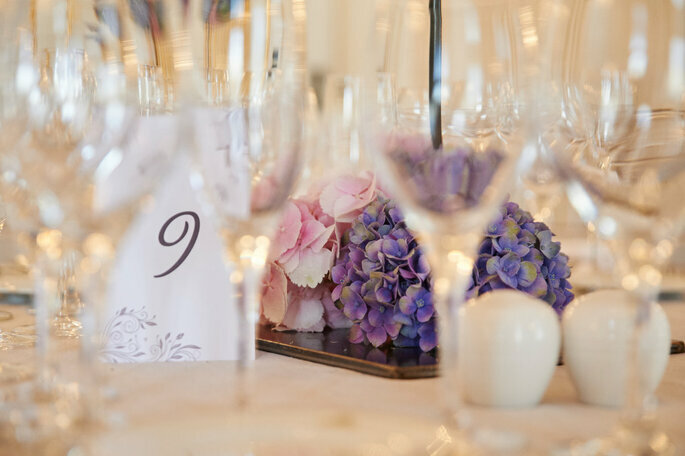 We love that the most important thing for the staff at Hotel María Cristina is their attention to detail as it ensures that both partners get the very best from their wedding day. They even go the extra mile on your 1st wedding anniversary, and offer you the chance to return for a night, letting couples relive their first night as a married couple. Undoubtedly, the Hotel María Cristina is a place with exceptional service that adds a personal touch to every wedding. They can make everything you’ve imagined for your big day happen without you even lifting a finger, so it’s guaranteed to be an event of a lifetime!